Employers and staff in a business changing owner will find the transfer easier, fairer and more effective through reforms announced today. 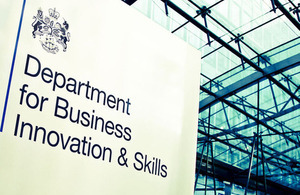 Employers and staff in a business which is changing owner will find the process of the transfer easier, fairer and more effective through reforms announced today by Employment Relations Minister Jo Swinson. When a business changes owner, its employees may be protected under the Transfer of Undertakings (Protection of Employment) Regulations (TUPE). TUPE protections make sure that employees don’t unfairly lose out when a transfer takes place, and set out the rules that the old and new businesses have to follow. In a response to a consultation on TUPE regulations earlier this year, the government is announcing that the laws will be improved to make sure both employers and staff are treated fairly when a transfer takes place. TUPE rules are essential to making sure that when a business is transferred from one company to another, it happens in a fair and efficient way. There have been some areas of the law which created uncertainty and confusion for businesses trying to comply with the law. By making these changes we will clear out the cobwebs in some of the rules which will give businesses more clarity about conducting transfers. As part of the Red Tape Challenge we are reforming these rules, keeping in place the necessary protections for employees and helping support a stronger economy. The changes outlined will remove unnecessary gold plating to EU Law and reduce red tape. They will remove unfair legal risks from businesses and thereby increase their confidence and competitiveness without the shadow of legal worries hanging over them. Simpler, more flexible employment laws will make it easier for companies to hire and manage staff, while protecting basic workers’ rights. This should encourage employers to create new jobs, supporting enterprise and growth. The government intends that the new regulations will be laid in Parliament in December 2013. Government is working to improve the guidance relating to TUPE so that it is updated, clearer and more useful to businesses undertaking a transfer. Government will work closely within Europe to persuade other Member States of the benefits of a harmonisation framework, which, if agreed, could make is easier for businesses to match up the terms and conditions of new and old employees which a transfer has taken place. The changes are part of the Employment Law Review, started by BIS in 2010 and ending in 2015. The review is looking at all employment laws to make sure they offer maximum flexibility for employers and employees. This should encourage employers to take on more staff, supporting enterprise and growth. Work is underway across government to achieve these ambitions, including progress on more than 250 measures as part of the Growth Review. Developing an Industrial Strategy gives new impetus to this work by providing businesses, investors and the public with more clarity about the long-term direction in which the government wants the economy to travel.